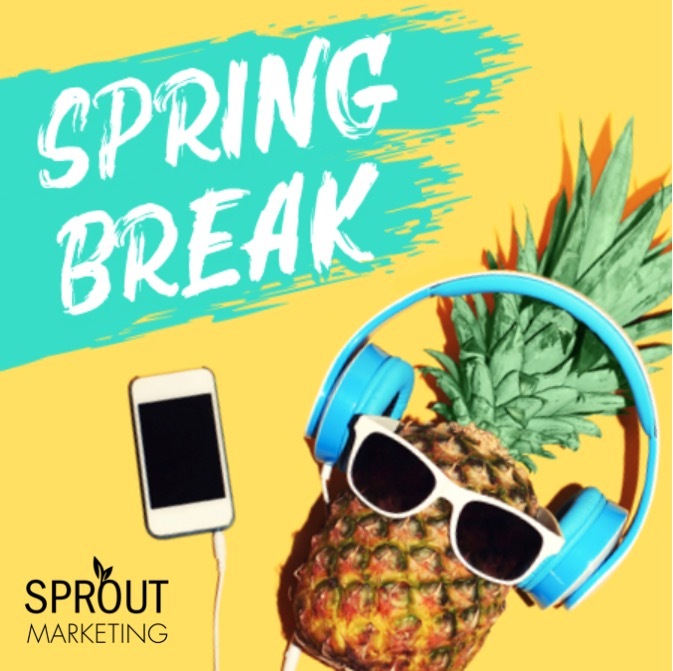 Spring is almost here and with it, comes spring break season! Your community is about to get a lot busier! 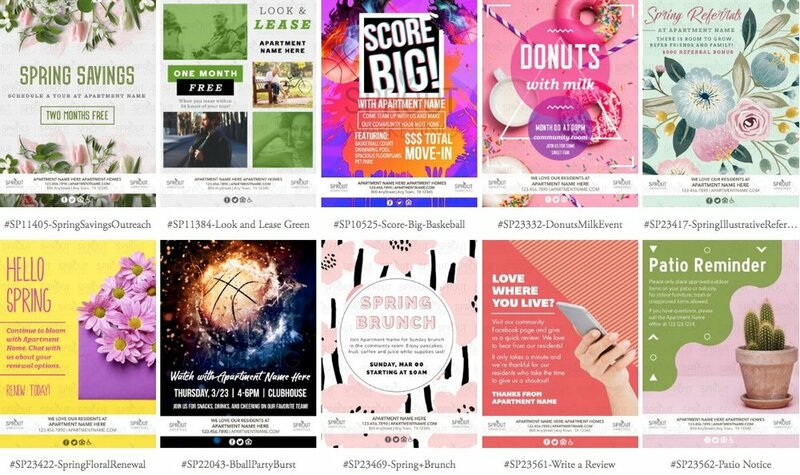 We've got you covered with our spring notices and events! 🌱Sprout Members! Visit our Instant Printables page to download these safety notices and more! Post them on your community board, in your elevators, leasing office door & other common areas. Ad-agency quality for every touchpoint. Not a member? Become a member today for $75/month! Create blooming events to help your residents thaw out from the winter temps! 🌱Check out these Spring Events here. 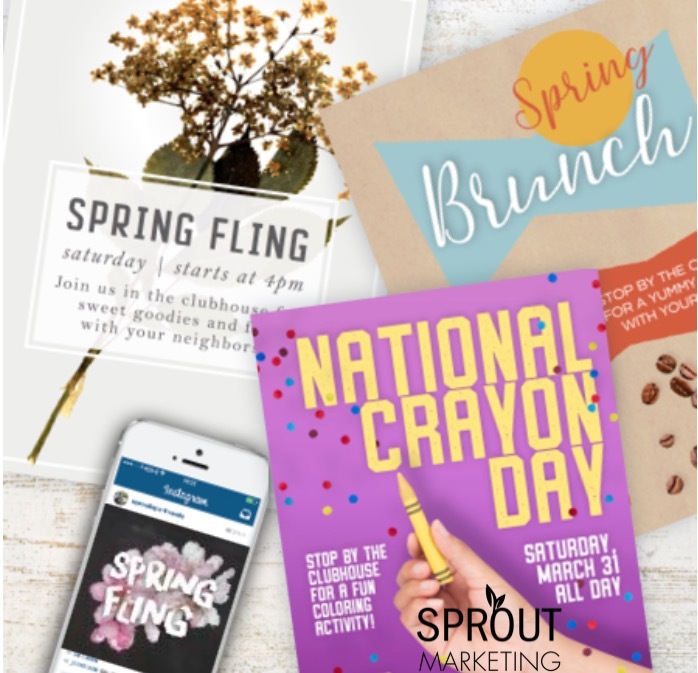 Choose from Instant Printables that require zero customization (you can download and print right from your computer and immediately put them into action at your community) or we'll customize them for you with your community event details! I want Spring Break Designs for my community! The student demographic wants to be WOWed just like anyone else. And remember: they have as many choices- if not more if you consider the dorms- than other groups. So pull out all the stops with marketing that pushes the envelope and events that ROCK! Not close to a campus? No problem! These designs are also great for the young at heart! 🌱Seedling Members! Check this HOT campaign out here. 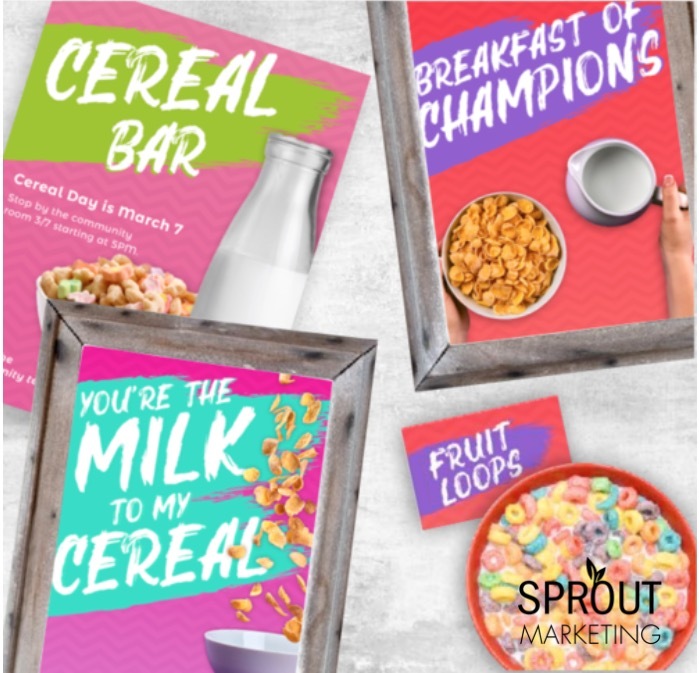 Help me freshen up my Student Living Marketing! Patio Notices, Apps to Help You Stay in the Moment, & Meal Prep!